Use these press tools made of plaster to stamp incised designs into rolled-out clay. The smaller designs are also ideal for stamping clay beads that can be used in jewelry making. This set includes 6 designs, including a triangular spiral, round spiral, butterfly, square spiral, flower, and spiral with radiating lines. These plaster press tools are smaller in diameter than those in the Sets of 4. 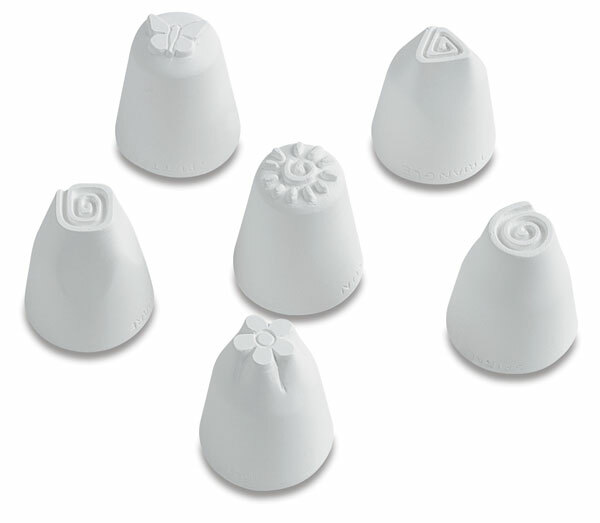 They're ideal for stamping out clay beads that can be used in jewelry making.